Following a rigorous selection process, Stadium for Bath – the project that brings together Bath Rugby, Bath Rugby Foundation and Arena 1865 – has appointed globally renowned firm Grimshaw as lead architect to realise the vision for a new community-focused stadium in the heart of Bath; a certified UNESCO World Heritage Site. Multi award-winning firm Grimshaw – whose design credentials span across the globe – have been appointed to develop plans for an exceptional new stadium, with a target capacity of 18,000, which will replace Bath Rugby’s current facilities at the Recreation Ground (The Rec) in the City of Bath. Grimshaw’s current and previous experience includes sporting destinations such as the Wimbledon Master Plan, including No.1 Court, the Curragh Racecourse; and the delivery of projects in sensitive heritage locations such as Thermae Bath Spa and the recently approved changes to the grade II-Listed former Herman Miller factory for Bath Spa University. Stadium for Bath undertook a rigorous architect selection process. Design credentials and design process were key to selection but equal importance was placed on the individuals, the team and the way they work. In addition, as part of the pre-design listening process Stadium for Bath asked stakeholders, including local residents and supporters, to list their considerations for appointing a lead architect and design team. The project team reviewed a long list of top-name architects and specifically engaged with eight as part of the selection process. A fundamental quality of the winning architect was the demonstration of its ability to listen and collaborate with all stakeholders as part of the design process. Stadium for Bath intends to submit a final design for planning approval during 2018. This project is about a Club that plays its rugby and lives in the heart of Bath – a World Heritage site – and has done so for over 150 years. However, if we want to continue to be ‘Bath Rugby’ and remain in the heart of this unique city, we must be so much more than a rugby club. ‘Stadium for Bath’ is about delivering a new home for Bath Rugby but it is clear that this project goes beyond that. It is about rugby as a catalyst for riverside regeneration in the centre of Bath and the provision of significant community benefits that create a legacy for everyone whether or not they are rugby supporters. We have spent months undertaking a robust architect selection process and believe that wenow have the best team in place to design an amazing place to watch rugby and a truly exceptional destination that will become a jewel in the city’s crown. We will now accelerate the design process and we look forward to consulting with stakeholders across the city, including local residents and our supporters, as we all work together to create a brilliant legacy for Bath. We very much look forward to working with Stadium for Bath to deliver this hugely prestigious and exciting project. The site’s sensitive and complex location demands a very special and unique design response in order to deliver the project’s aspirational objectives. 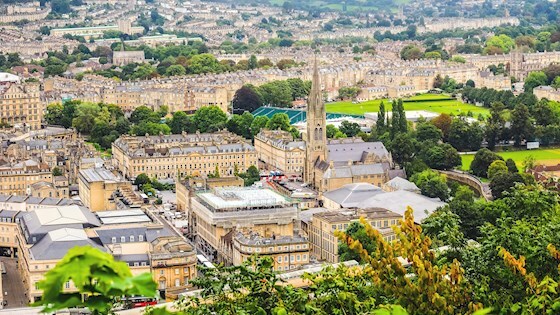 The scheme is set to deliver wider benefits to the city including riverside regeneration and an enhanced relationship with the Recreation Ground in order to provide an exceptional new home for Bath Rugby, emblematic of its place, its community and the UNESCO World Heritage City of Bath. The design aesthetic and stadium experience will be fundamental to the overall design solution. It is clear that the smart use of space at the site, the design of internal and operational spaces, and the landscape setting of the stadium will also be essential components of a successful design. Grimshaw has therefore appointed two further practices, Kay Elliott and Gross Max, as sub-contractors to provide further design expertise on this unique project. Kay Elliott has been appointed Destination and Interiors Architect, and will have overarching responsibility for designing the internal look and feel of the new stadium. Internal areas include hospitality, player areas, bars and toilets, together with non-matchday uses, such as conferencing and banqueting. Gross Max has been appointed to lead on the riverside design and the public realm to ensure that they are delivered to an exceptional standard befitting the city of Bath. Visit www.stadiumforbath.com for more information.